Our next event will be Le Café Parisien performed by the Andy Lawrenson Trio on Saturday 28 April. Andy and his trio have just proudly unveiled their new show: LE CAFE PARISIEN is a musical and cultural journey through the streets, cafes and terraces of Europe. Expect to hear Hot Club Swing, Classical Themes, adventure into Romani and Celtic Music, and vintage songs, all delivered with a fresh new twist. A veritable melting pot of astounding musicianship and novel arrangements, all flavoured with a sense of warmth and fun to make for a cracking nights entertainment. They have just launched their new album MOONGLOW which will be available on the night. Acclaimed folk duo Kathryn Roberts and Sean Lakeman are set to entertain fans old and new with a captivating blend of quality folk music when they perform at Chinley Community Centre on Sunday 4 February 2018. 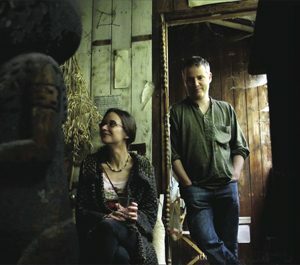 Described as “Songwriters par excellence” by fRoots Magazine, Kathryn and Sean are one of the most popular and respected acts on the British Folk scene. Their live set will showcase a variety of music from traditional ballads to their own ‘story songs’. The duo perform to the highest standard on guitar and piano and have been recognised nationally for their talents. They were nominated for ‘Best Duo’ at the 2013 BBC Folk Awards before winning the prestigious prize in 2016. The couple provide an enjoyable evening’s entertainment for all ages and living in a rural area themselves (Dartmoor) they understand the importance of bringing live music to small communities. According to Billboard Magazine, “Kathryn Roberts’ smoky, assertive vocals are a tasty feast for listeners craving music that requires a sharp mind and an open heart” while Sean Lakeman is described as “one of the unsung heroes of modern British folk” by MOJO Magazine. 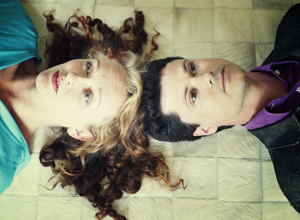 Kathryn Roberts and Sean Lakeman will play Chinley Community Centre (21 Lower Lane, SK23 6BE) as part of the Blackbrook Valley Arts group’s Live and Local programme of events for 2018. Doors open at 7.00pm and the show starts at 7.30pm. There is a bar with local real ale, wine, tea and coffee (open before the show and during the interval) and the venue has disabled access. Join us at the Chinley WI Hall on Lower Lane for a fantastic night of food, music and dancing. Tickets, priced at £10 (including a light supper), are available from Chinley Stores and online. There will be a bar serving local real ale, wine and soft drinks. Doors open at 7.30pm and the ceilidh starts at 8.00pm. ‘Harp and a Monkey’ bring their own special blend of electro-folk-storytelling to Chinley Community Centre on Saturday 14 October 2017. Their show, entitled: ‘The Importance of Digging Holes: The Great War and More’ includes a quirky blend of songs about cuckolded mole catchers, a lone English oak tree that grows at Gallipoli, care in the community and medieval pilgrims… Intrigued? This talented trio, comprised of Martin Purdy (vocals, glockenspiel, accordion, harmonica and keyboards), Simon Jones (harp, guitar, viola) and Andy Smith (banjo, melodica, guitar and programming) have a deep Lancashire sensibility that shines through in their beautifully crafted vignettes of northern life, love and remembrance. The Daily Telegraph defines their performance as: “Rousing music and droll Lancashire humour”. Formed in 2008, Harp and a Monkey have built up a loyal following and are regulars on northern festival circuit and beyond. The band are particularly proud of the fact that they have gained a strong reputation for building an excellent rapport with their live audiences and the fact that they have never played anywhere and not been invited back. In addition to performing live, the band have a successful recording career. Their third album, War Stories, was released in July 2016, as part of an ongoing project (part-sponsored by Arts Council England and The Western Front Association) to mark the centenary of the First World War. The album received outstanding reviews, with the likes of The Observer describing it as “bold and brilliant”. Support from BBC Radio 2 has been substantive, including sessions and interviews with Clare Balding (Good Morning Sunday) and Mark Radcliffe (The Folk Show). They are described as “Undoubtedly one of the most vital and charismatic things happening in English folk music right now” by fRoots Magazine. reels. There is no need to worry if you have two left feet – the caller will call out all the moves so you can’t go wrong! The Crows’ inexhaustible energy gives them stand alone status in the up-surging live music scene. 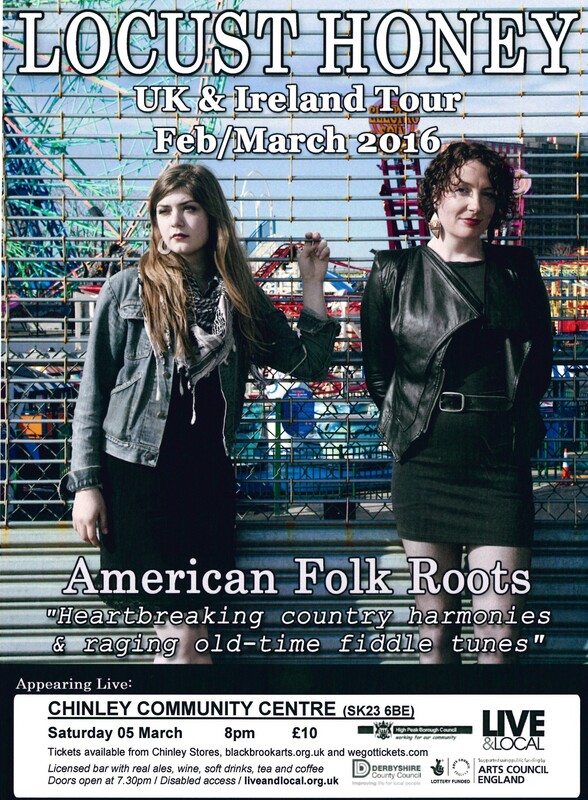 They have won several awards including ‘Top Celtic Rock Band’ and ‘Top Fiddle Player’ at the 2012 Irish Music Awards and ‘Best Folk Act’ at the Exposure Music Awards. They’re completely unique and uncontainable, often getting audiences on their feet and dancing the night away. The Roving Crows sing songs with bitter-sweet storytelling lyrics of no regrets and draw musical influences from genres including folk, ska, reggae and klezmer. With members of the band hailing from Ireland, they also boast an original Celtic vibe. Their line-up features lead singer and frontman Paul on guitar and boasts Caitlin’s fiery fiddle playing and vocals, Greg’s syncopated trumpet, Tim on the drums and newest band member, Loz, on bass. They all get involved with backing vocals which gives a really rich group sound. The Roving Crows are charismatic, enthusiastic and entertaining and they come with bags of youthful charm. 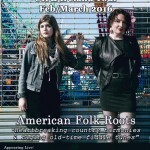 An original must-see act, with roots in Folk and Celtic music. Renowned for their high-energy live performance, their shows pull together funked up traditional tunes and catchy original song. Every performance bursts with energy so you’ll want to leave some room for dancing. 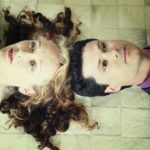 Peacock Angell Trio play Chinley Community Centre on Saturday 18 March 2017 as part of their nationwide tour. The beautiful vocals and spirited fiddle of Ruth Angell – best-known as a member of Ashley Hutchings’ Rainbow Chasers – are matched all the way by the dextrous guitar of Sid Peacock and Steve Tromans’ thrilling piano. Sid Peacock is an Associate Artist at mac Arts Centre Birmingham and Director of the Surge Orchestra. Steve Tromans is an innovative pianist / composer known for his settings of beat poetry (Allan Ginsberg, Jack Kerouac, et al). Doors open at 7.30pm and the show starts at 8.00pm. There is a bar with local real ale, wine, tea and coffee (open before the show and during the interval) and the venue has disabled access. 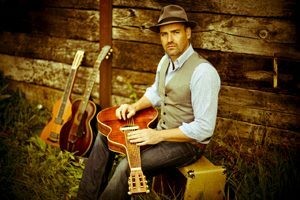 Martin Harley is a phenomenally talented guitarist, singer, songwriter and fronts the highly praised UK-based acoustic trio; The Martin Harley Band. In this solo acoustic performance, Martin demonstrates his prowess as a slide guitarist, being almost unique in the UK in playing lap slide. In other areas and styles, however, he has proved himself a master guitarist and a consistently astounding songwriter. Martin’s name has become synonymous with the British and American slide guitar scene and earned him an ITunes number one album. Martin’s latest album MOJO FIX which was recorded in Texas, comes on the heels of four critically celebrated albums, years of touring and countless festivals that have built Martin a strong and solid fan-base spanning the globe. Tickets: £10 – available online and in Chinley Stores SOLD OUT! 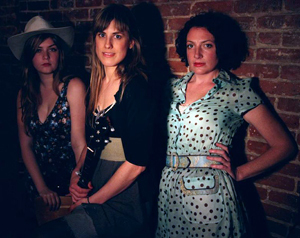 Describing their music as heart breakin’ country harmonies and raging old-time fiddle tunes, the Locust Honey String Band come from the USA, bringing authentic sounds of the Appalachian Mountains with them. The band’s style encompasses Old-Time, Bluegrass, and Pre-war Blues and they will perform their own self-penned material as well as traditional songs and tunes of the American South. Their music emphasises lively arrangements that showcase their authentic three-part vocal harmonies. It’s best described as rootsy country music, and as well as finger-flying tunes and songs, they have plenty of stories to tell. Not to be confused with Mambo Jambo who played for us last year! Mumbo Jumbo are three rootsy, close-harmony musicians who boast that there’s not a six stringed guitar in sight! Led by three of the Midlands’ most experienced Blues musicians, Oliver Carpenter and Chris Lomas, and featuring top piano and squeezebox player, Phil Bond, Mumbo-Jumbo produce a sound all of their own. They play uplifting original songs, rarely-heard rootsy tunes and more familiar numbers, all delivered with a real sense of humour. It’s a big band sound in a small package, with a terrific combo of trumpet, keyboard, accordion, washboard and vocals. The show features mainly self-penned catchy songs (check out ‘He’s got a little bald spot’ – which features a guest appearance by Steve ‘Dr Teeth’ Steinhaus). And if you need an instant lift, have a look at this lovely film for ‘Nice Work’. 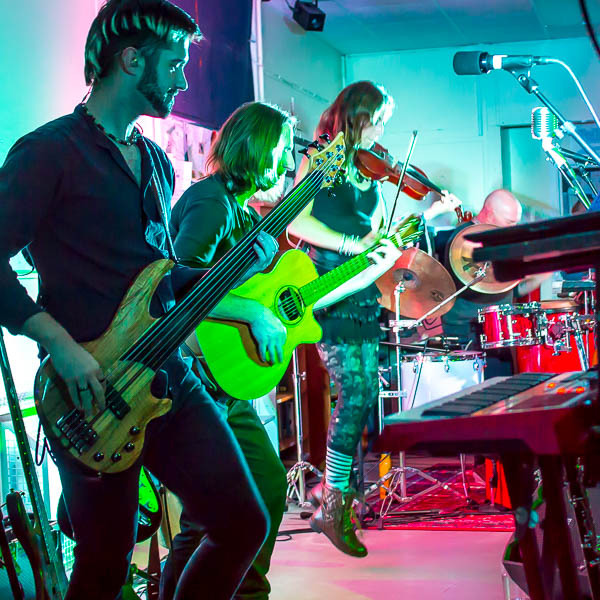 The band are very clued up as to what works in a community venue, bringing a winning mix of banter, great musicianship and a bit of audience participation – you might find yourself on kazoo – and skilfully performed pieces that will have you whooping for more! Sign up to receive our newsletter by email. Get information on our upcoming shows and advance notice of when tickets go on sale.